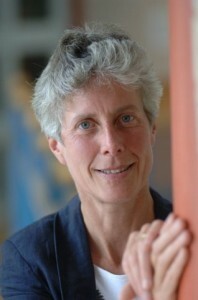 Anne Miller is an authority on creativity and innovation, with an infectious enthusiasm for ideas. She is director of The Creativity Partnership, where she provides consulting, workshops and management training in creativity and innovation. Clients include some of the world’s most successful organizations; Procter and Gamble, The NHS, Sainsbury’s and Bayer; as well as many smaller social enterprises, charities and entrepreneurial startups. Having “always” been interested in creativity, she first read engineering at Cambridge in order to become a professional inventor. She then spent 20 years leading teams developing innovative products for the world’s leading companies and became one of the world’s most prolific female inventors, with 39 patents for a diverse range of products. Her inventions range from power tools and medical products to the manufacturing system for the Femidom (the female condom). In 2000 she moved on and established The Creativity Partnership to help other individuals and organisations realise their creative potential. Her acclaimed book “How to get your ideas adopted (and change the world)” is now in its second edition and has been translated into Chinese.